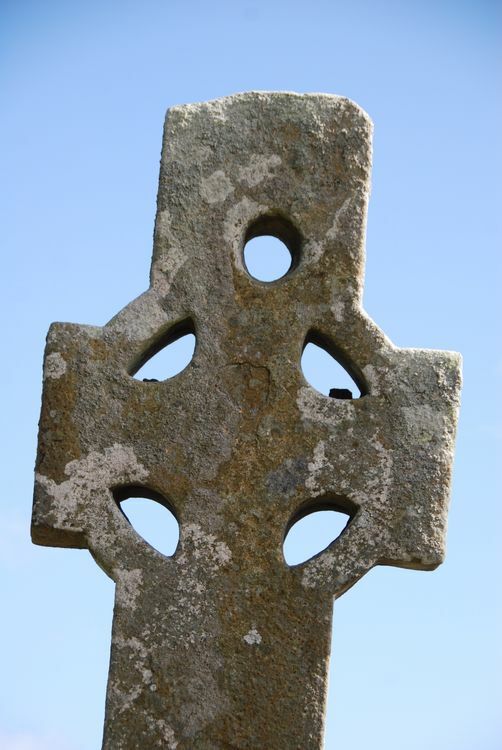 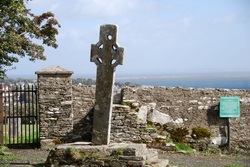 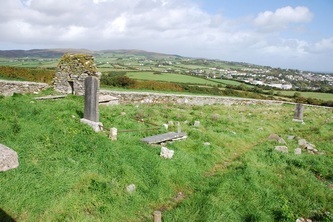 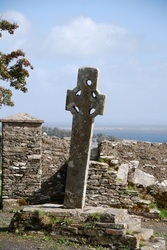 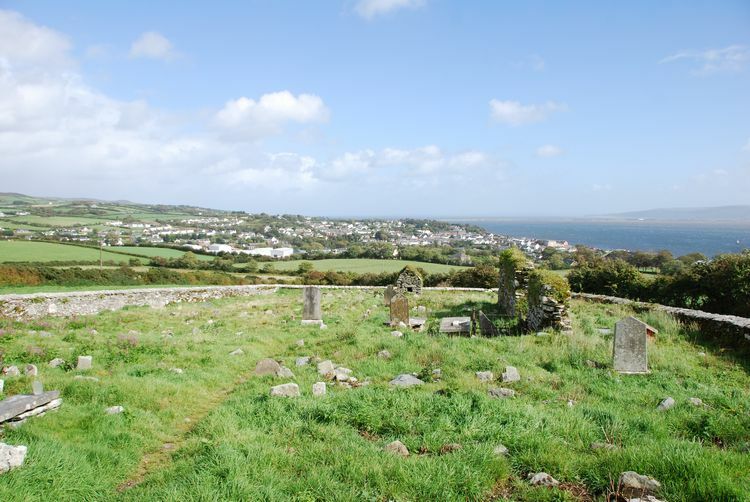 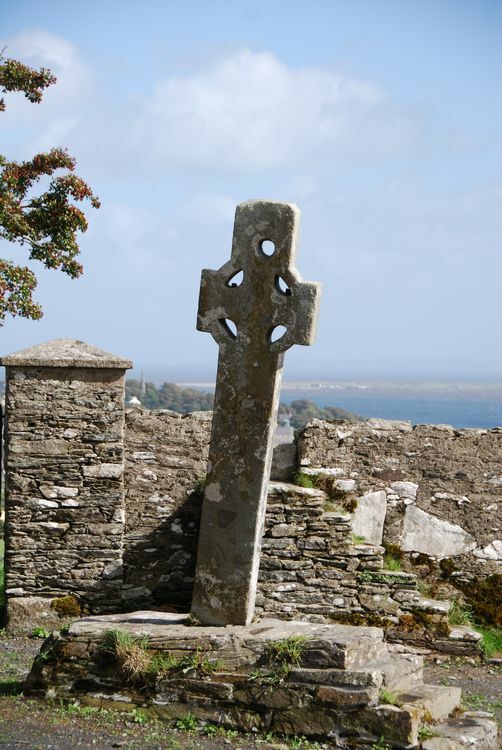 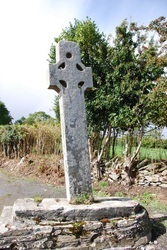 The Cooly Cross and Ecclesiastical Site can be found high on a hill overlooking the Inishowen town of Moville. 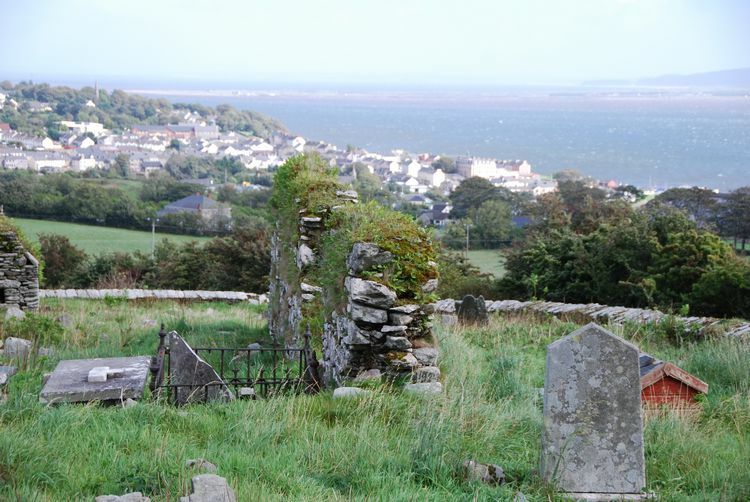 The site is to be found by taking a right hand turn just outside the town on the Moville to Redcastle road. 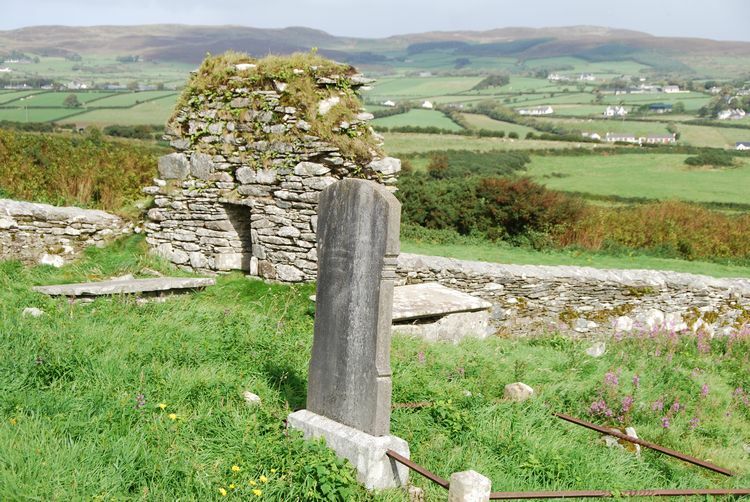 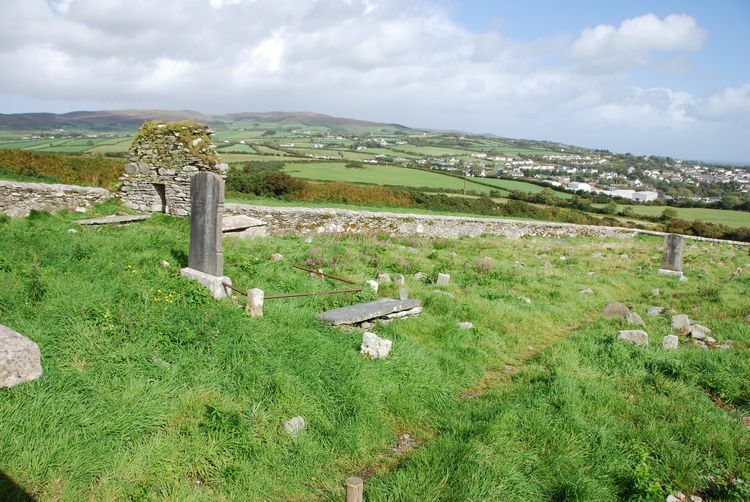 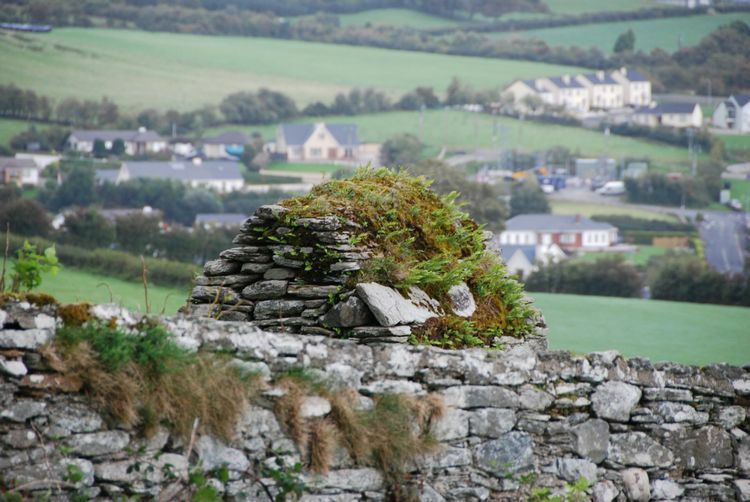 "An early ecclesiastical site founded by St. Patrick and which survived to the 12th century. 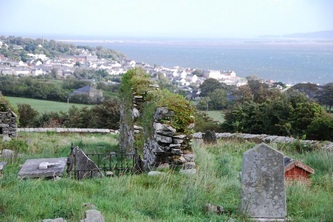 There is a tall simple wheeled cross; the remains of two church buildings; one to the north west, being that of a chapel built in 1622 and destroyed in 1688. 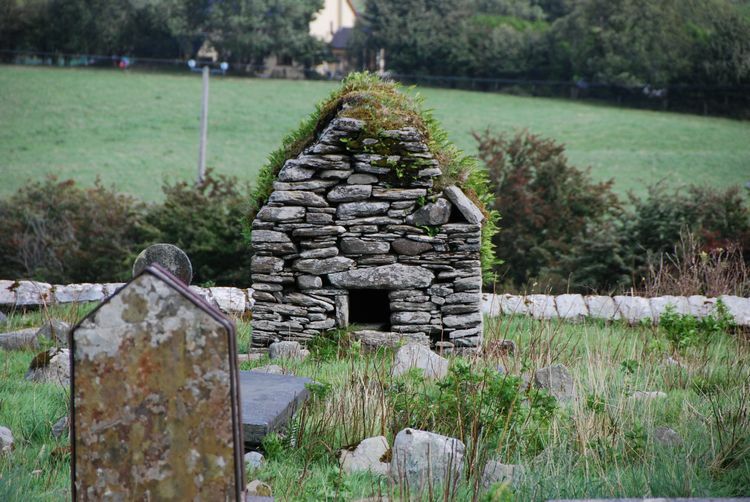 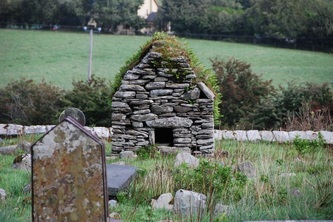 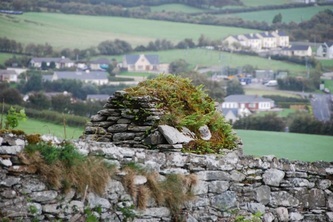 There is a small gabled structure with a stone roof known as the Mortuary or Skull House and said to be a tomb-shrine associated with St. Finnian, Abbot of the Monastery. Also located within the modern graveyard wall is a basin stone, a cross inscribed stone (both near the Skull House), a wheeled-cross slab and a small stone cross (near the South Church)."